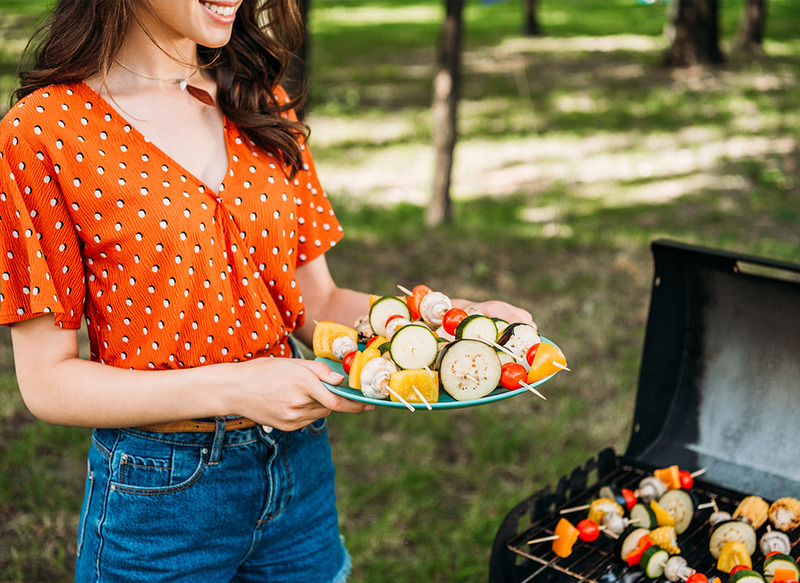 Barbecued foods get a lot of bad press because the hot flames produce a class of chemical compounds known as Heterocyclic Amines (or HA for short). HA compounds have the power to genetically alter our cells and increase our risk of several types of cancer. However, there are 2 easy ways to reduce harmful carcinogenic HA compounds. Simply marinating your foods, for just 15 minutes, can decrease the amount of Heterocyclic Amines produced on the grill by up to 85 percent. We recommend a marinade of an acid (like balsamic vinegar), an oil (like olive or avocado oil), and plenty of herbs (especially basil and rosemary). Broccoli has the power to increase your metabolism and in turn breakdown Heterocyclic Amines so they are less harmful to your body. DON’T LIKE BROCCOLI OR WANT MORE PROTECTION? Essanté Organics Earth Greens (Powder or Capsules) contains the world’s top, raw, organic, alkalizing, metabolism-boosting, antioxidant, chlorophyll-rich ingredients including broccoli. It’s an amazing organic-powerhouse-addition to your daily diet. It’s the easiest way to enjoy 5.5 pounds of organic vegetable nutrition per 70 cent serving. That’s less than a head of organic broccoli and you get so much more! Check out Earth Greens below and happy, healthy grilling! (If the poster of this article added their product link in their post please be sure to click it!